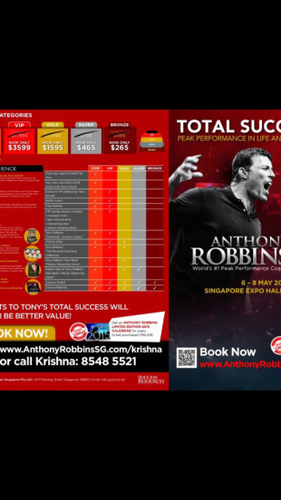 Hi all Im krish Sales executive from success resources,I'm selling Anthony Robbins Total Success seminar Tickets contact me at 85485521. 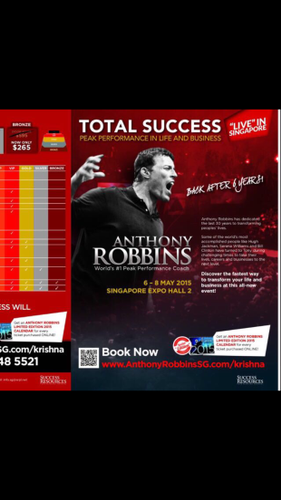 1)What does it take to succeed in life? 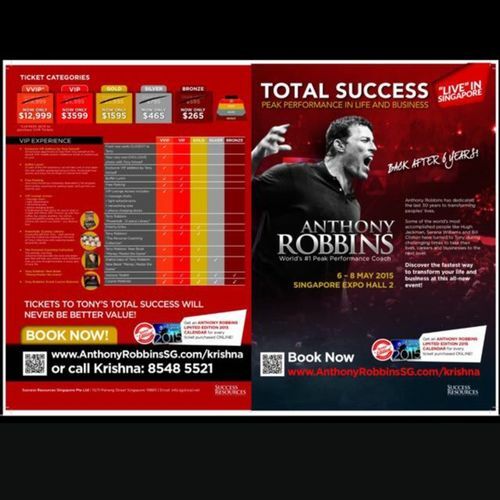 2)How to make decisions in your Life to shape your destiny?